This review is a critical analysis of the movie, and as such there are spoilers. There’s a part of me that secretly worries Ant-Man may just be the outlier, the black sheep of Marvel Studios. Originally to be directed by comic genius Edgar Wright, that duty passed to Peyton Reed, who did an exceptional job of bringing our tiny hero to the screen. Wright’s departure was earmarked as being one of “creative differences.” One reasonable explanation was that Wright began his work on Ant-Man in 2006, when Marvel (as a cinematic studio) was still young. During the course of the script’s development, the studio was acquired by Disney, which changed their direction considerably. As a result, the introduction of the greater Marvel universe was a factor in Wright’s decision to leave. 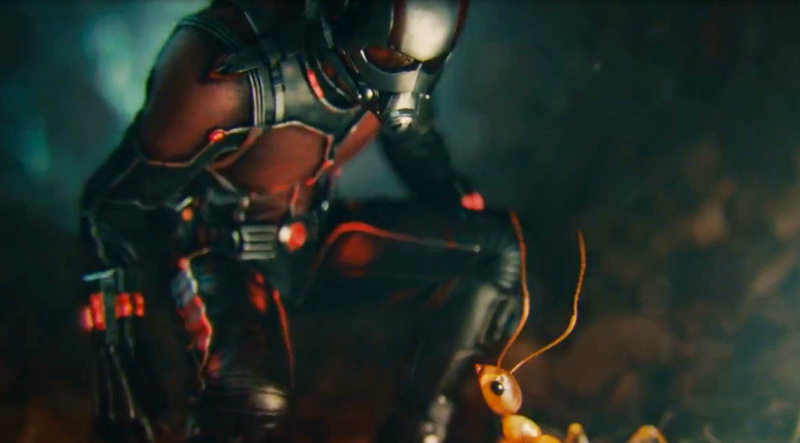 In that sense, Ant-Man is a marvel in and of itself. It’s rare that multiple visions blend and arrive at something cohesive, as the recent Fantastic Four movie has so reminded audiences. The original script may still bear resemblance to Wright’s work, but it has been altered by both Adam McKay and star Paul Rudd with input from Marvel. Reed as director also must have added his own touches. From start to end, Ant-Man does an exceptional job of shaking up the usual tropes that have come to dominate comic book derived films. Sam Raimi is probably the most thought of director for establishing these conventions in his overall impressive Spider-Man trilogy (I leave your opinion of Spider-Man 3 to you, dear audience.) I like to believe that Wright respected this and worked with the original source material to avoid these cliches. 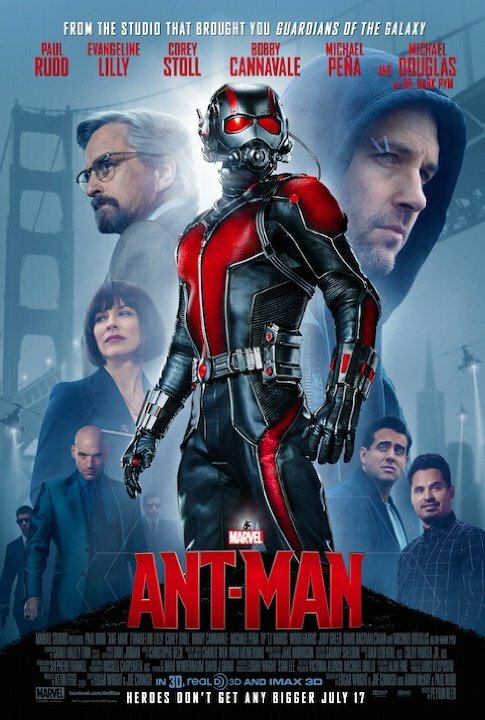 Rather than a young man still wrestling with his budding sense of morality, Scott Lang (Paul Rudd) is a former thief recently paroled for a righteous heist against his former company. Despite his good intentions a crime is still a crime, and Lang is divorced and kept at arm’s length from his daughter Cassie (Abby Ryder Fortson) until he can at least provide child support payments, a challenge given his background. The usual moral convictions many super heroes earn from mistakes are set aside for a more understandable desire to be connected with family. 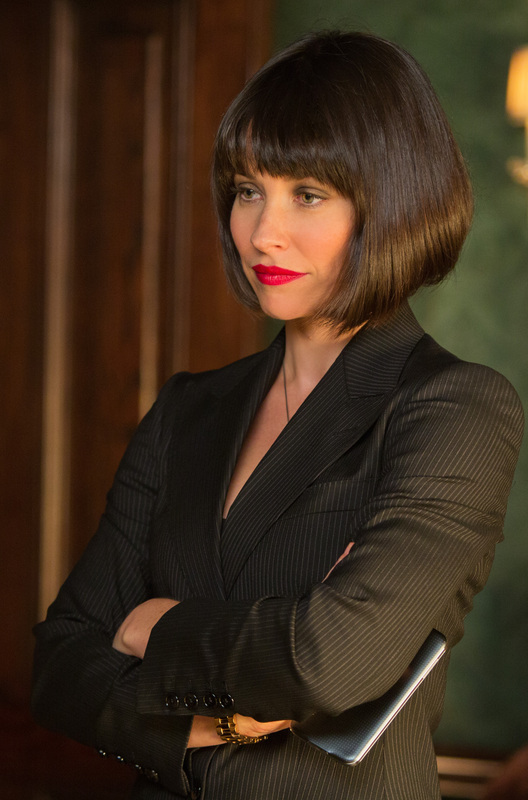 Meanwhile, former Ant-Man Hank Pym (Michael Douglas) returns to the company from which his daughter Hope van Dyne (Evangeline Lilly) and former protege Darren Cross (Corey Stoll) expelled him. 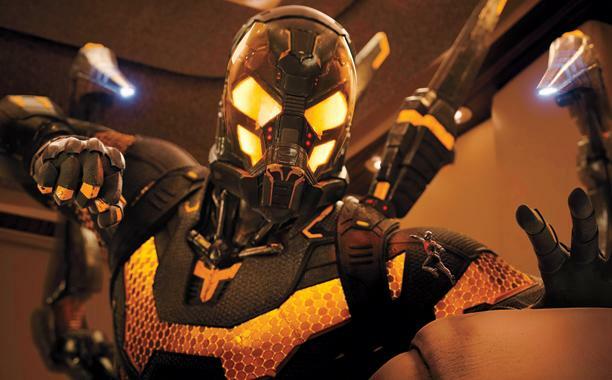 There Pym witnesses the unveiling of the Yellow Jacket, a suit that uses a modified version of his size altering particles to shrink and grow. Realizing what Cross is about to unleash on the world, Pym takes the steps to recruit Lang and pass on the mantle. This flies against the wishes of his grudge-bearing daughter, who now spies against Cross and sees herself using the suit to stop the Yellowjacket. Ant-Man has a number of themes worth mentioning. Broken families are a constant for both the main characters. One tries to mend the damage caused by his absence, the other is trying to prevent it. Rather than some unrealistic sense of healing the fractured relationships perfectly, there is more an acceptance of the imperfections and general good will to try and become better men. Although it takes a dramatic act on the parts of the characters to prove they truly mean it. There’s also an insinuation that corporations were inherently malevolent; while Iron Man was more inclined to take the view that companies represent the views of their owners, every corporation in Ant-Man is at worst morally corrupt and at best unkind. VistaCorp, Stark Industries and the current Pym Technologies are varying degrees of villains. Even Baskin Robbins (of all businesses) gets teased, as they eventually learn of Lang’s criminal past and terminate his employment with them. Given the swiftly established likability of Rudd’s character, this casts the ice-cream giant in a negative light for being unwilling to give our hero a second chance. But the hints of redemption are the best elements of all. More on that in a moment. Michael Douglas is far more than good as Hank Pym. 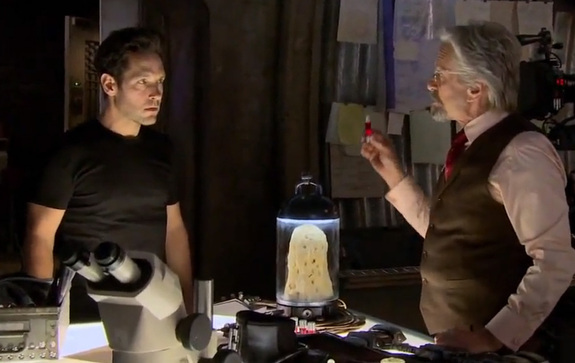 He crafts a brilliant and angry character, portraying Pym’s ardor in several degrees that never grow dull. From a provoked violent streak to calmly delivered sarcasm and frustrations with his daughter, the trio of van Dyne, Cross and Pym make for a satisfying though partial story. Cross, I feel, wasn’t the under developed villain many critics think he was. Rather I believe Reed wisely veered away from revealing too much of Cross’ motivations for fear of indirectly illuminating Hank Pym’s secrets too early. The two men’s histories are, after all, greatly entwined. Redemption requires regret, and that’s a line that Marvel seems to tread with care. In the original comics, Hank Pym has a history of domestic violence towards his wife Janet van Dyne. A single act during the 80s is perceived as accidental, but the more recent Ultimates series portrayed Pym as mentally unstable, and left no doubt that abuse was on-going. The movie seems to insinuate, based on Cross’ increasingly erratic behavior, that this is a side-effect of prolonged exposure to the Pym particle. It is possible that Pym’s secrets were simply remorse for the fate of Janet, but it could also imply that the MCU Pym may have mistreated his wife as well. This issue is not something to be casually tossed into the script without prudence and remorse, something Ant-Man didn’t have time to approach. Likewise, Rudd’s Scott Lang has a similar need for a second chance. But while people can be on the fence about Pym, Lang is instantly likable, not really flawed but rather carrying the burden of his mistake. Even the Baskin Robbins’ manager was sympathetic as to the reason for his criminal history despite still having to fire him. You see Lang trying against the odds to be there for his daughter when it actually matters and not years down the road after the heavy lifting has been complete. Lang is so cool, he even helps make sense of Pym’s concern for his daughter, articulating with emphatic brilliance why Pym was so reluctant to let his daughter be the Ant-(Wo)man, and helping to cement another path for her. With regard to that future, I am rather excited for the possibility of Evangeline Lilly as the future Wasp in the MCU. Marvel has suffered from a lack of good super heroines due to Fox Studios possessing the rights to the X-Men, and Lilly is a great actress who portrays Hope van Dyne with an emotional depth surpassing Scarlett Johansson’s Black Widow (Elizabeth Olsen hasn’t had much time to fully mature into her role as the Scarlet Witch yet.) It has also been suggested that Janet van Dyne may someday return, as Scott Lang figured his way out of sub-atomic space. But if Lang could, then what of Darren Cross? Ant-Man is easily one of Marvel’s best movies. It’s fun, it’s funny, and although it hints at the Avengers it never really needs them. It values wit, smarts and charm over power, and these factors put it more on par with Captain America: The Winter Soldier. One would never believe that someone could take a hero named Ant-Man seriously, but not only does it succeed, it does so over the sound of laughter.